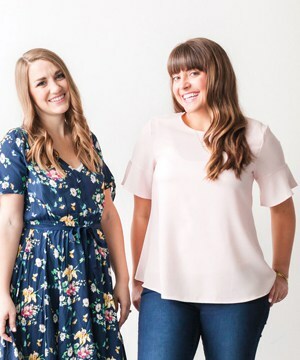 Hi, It’s Annette again! 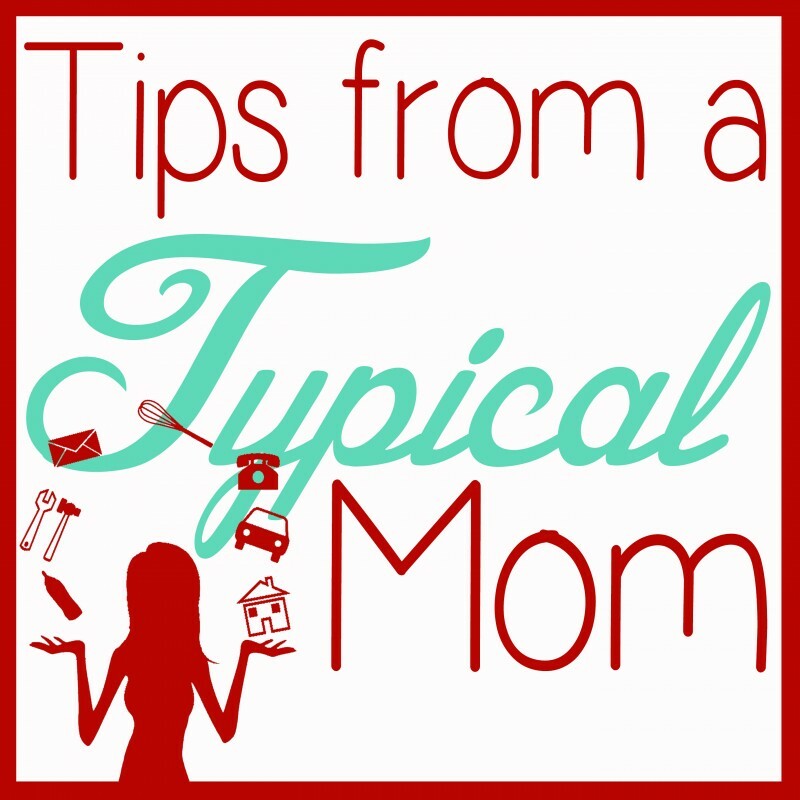 Guest posting from Tips From a Typical Mom. We all know how hectic the house can get right after school when the kids come running in the door. They are starving and need a break from all the structure they’ve had all day. 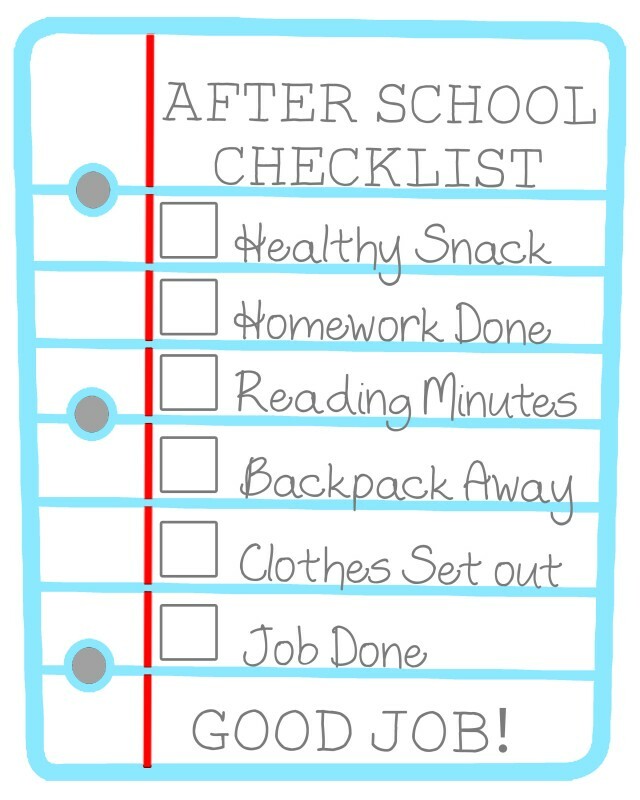 Having an after school checklist to keep them on track and get things done for the next day is a must around our house. I’m sharing it with you because I have a sneaking suspicion that you might need it too. 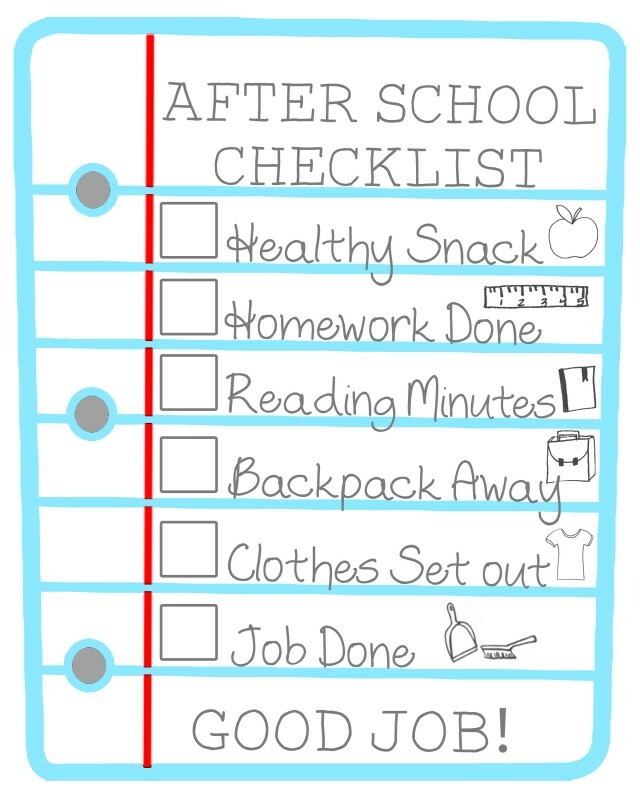 I use the check box for the Reading Minutes for my son to add the time he read so I can add it to his reading calendar from school that night. When the checklist is complete, he can go outside and play. No TV or electronics until playing outside for at least an hour. It’s easy for my kids to get in play time in our neighborhood because we live in a condo and there are many kids outside to play with. Why do I have my kids do their homework before they can play? If they don’t get it done right away, they will complain later on when I tell them they need to come in and do it. It is much easier to just get it done with right after they have a healthy snack. Click on the checklist you want to download. There is one with and without pictures. The one with pictures is obviously for younger children who can’t read yet. You can print them through your printer at home or through a photo printing service like Costco or Wal-Mart as an 8×10. 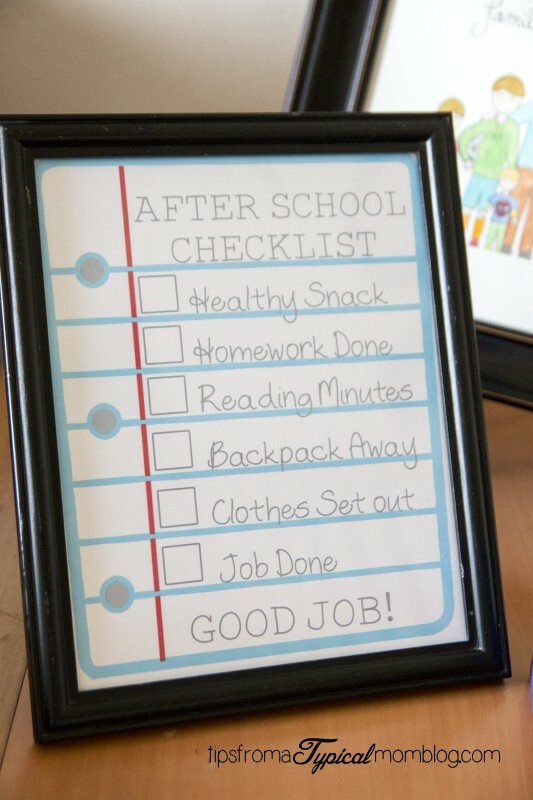 Put it in a frame with glass so you can use a dry erase marker each day to keep track. Click on the image you would like to download. Visit Annette’s Blog for more cool ideas and recipes! Would you happen to have a pdf version of this? I would love a blank version…do you have one or could you tell me the program you used to create this? Looking for a blank version, would you have that available for download? 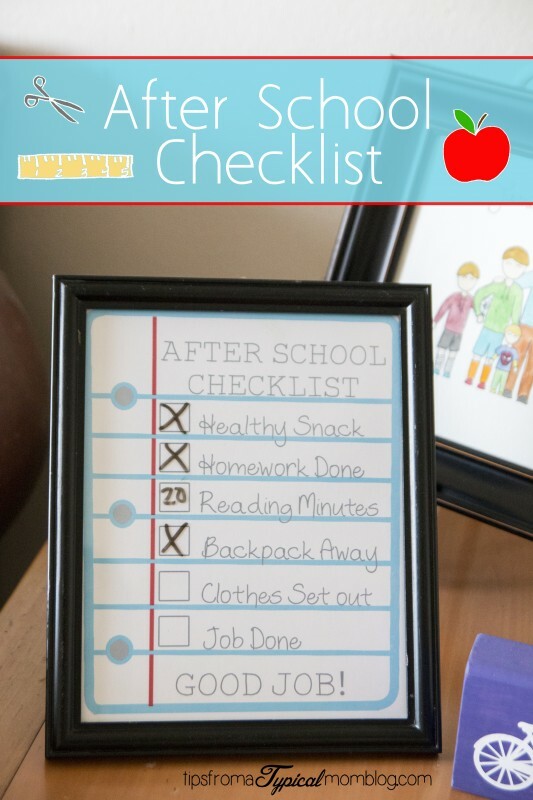 Do you have a blank version so that I can make a before school check list as well? This is so great! Pinned!